The Israeli military has sent more than 100 snipers to the Gaza border in preparation for a planned mass Palestinian demonstration near the frontier of the besieged enclave, Israel’s top general said on Wednesday. Organisers hope thousands in Gaza will answer their call to flock, starting on Friday, to tent cities in five locations along the occupied border in a six-week protest for a right of return of Palestinian refugees to what is now Israel. Citing security concerns, the Israeli military enforces a “no go” zone for Palestinians on land in Gaza adjacent to Israel’s border fence. Lieutenant-General Gadi Eizenkot, the military’s chief of staff, told the Yedioth Ahronoth daily that the military would not allow “mass infiltration” or tolerate damage to the barrier during the protests. “If lives are in jeopardy, there is permission to open fire. In response to frequent Palestinian protests along the Gaza border Israeli soldiers have used tear gas, rubber bullets and live ammunition against demonstrators whom the military said hurled rocks or petrol bombs at them. Organisers said the protest is supported by several Palestinian factions, including Gaza’s dominant Hamas movement, which has ruled the strip since Israel imposed an economic blockade in 2007. Israeli cabinet minister Tzachi Hanegbi, speaking on Israel Radio, said Hamas had avoided direct conflict with Israel since the end of the 2014 Gaza war. But he said that pressure Hamas was now feeling from Israel’s destruction of some of its network of attack tunnels near the border, coupled with harsh economic conditions in Gaza, were “a formula for rising tension”. The start of the demonstration was symbolically linked to what Palestinians call “Land Day”, which commemorates the six Arab citizens of Israel killed by Israeli security forces in demonstrations in 1976 over land confiscations. The week-long Jewish holiday of Passover, when Israel heightens security, also begins on Friday. 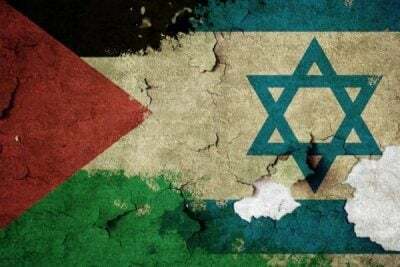 The Palestinian protest is due to end on 15 May, the anniversary of the “Nakba” or “Catastrophe”, and the forced displacement of hundreds of thousands of Palestinians in the conflict which led to the declaration of Israel in 1948. Palestinians have long demanded that as many as five million of their compatriots be granted the right to return. Israel refuses to grant this condition.